It's good to be back from vacation, and catching up! 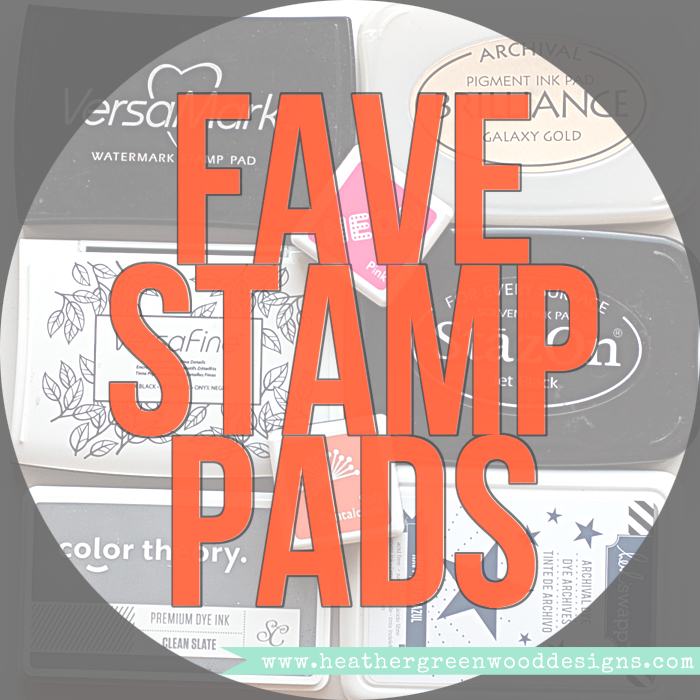 This month I've been sharing about the finishing touches I add to my Project Life® pages and today I'm going to share with you my favorite stamps and ink pads to use in my weekly scrapbook album. Pictured above, are my favorite and most used stamps in my albums. Unfortunately, many of them are not available for purchase, but I'm going to share them anyways. UPPER LEFT: Assorted Studio Calico stamps from Studio Calico's kit clubs and classes. These are exclusive to the kit clubs and classes that I've purchased. They are by some of my favorite designers, Marcy Penner, Kal Barteski, Life Love Paper, Shanna Noel, Paislee Press, In A Creative Bubble, etc. LOWER LEFT: Ali Edwards Handwriting Alpha... These were by Technique Tuesday and are not available at this time, but Ali is in the process of adding a shop to her new website and I'm hoping these will come to her shop, because they are total MUST HAVES!!! Plus, I want to get the lower case alpha stamps too, so my fingers are crossed! Some of the things I look for in stamps are unique hand drawn looking alphas, word art and doodles. 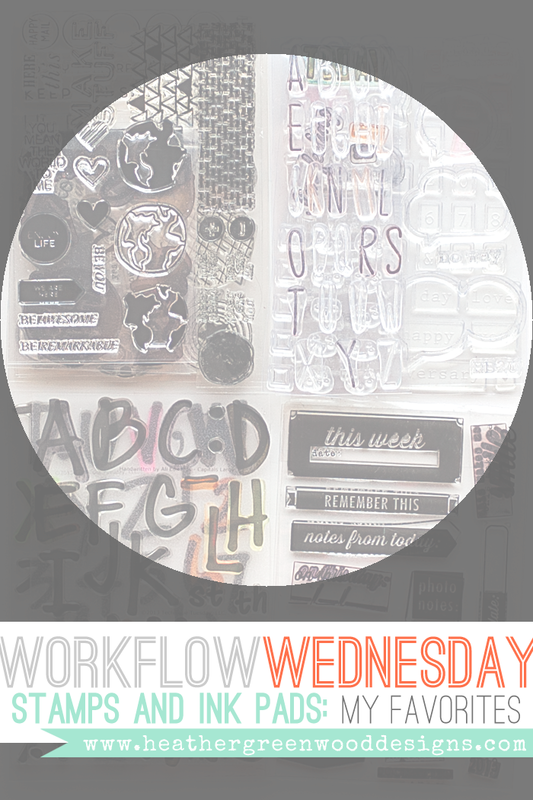 I also really like speech bubbles and fun sayings/word art. I also really like a good general label stamp and date stamps. I really want to get the new Heidi Swapp Project Life date stamp with Heidi's signature handwriting! Here are my go to ink pads for my Project Life® album.